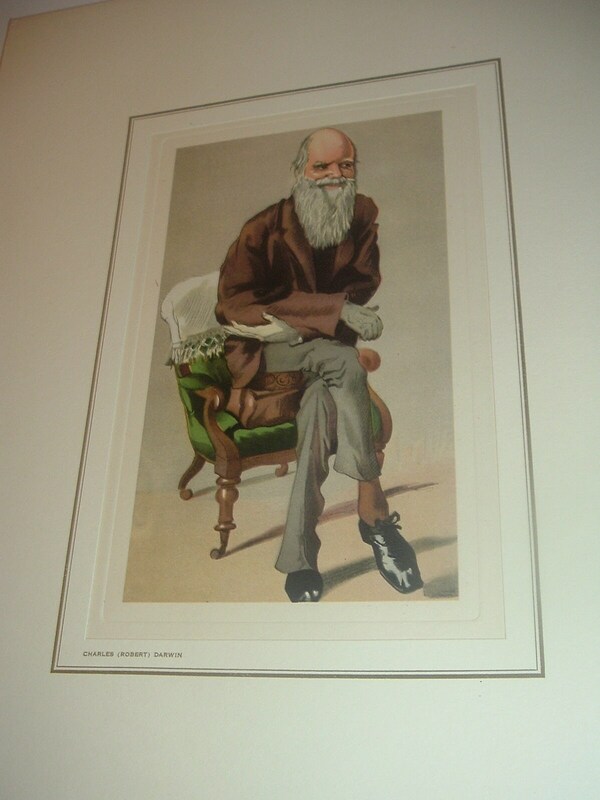 This Petrolagar Charles Darwin caricature print measures approx. 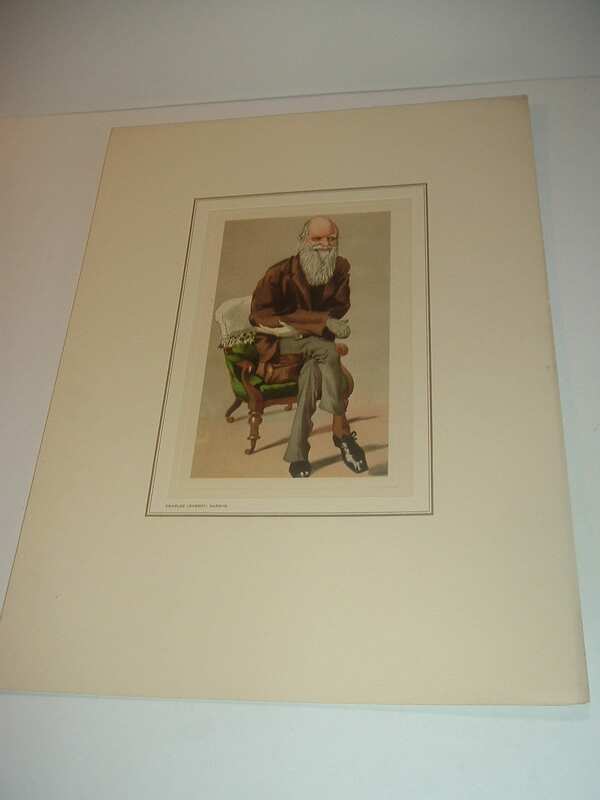 14.5"L and 11"W including the matting or approx. 9 3/8"L and 6"W -- print only. 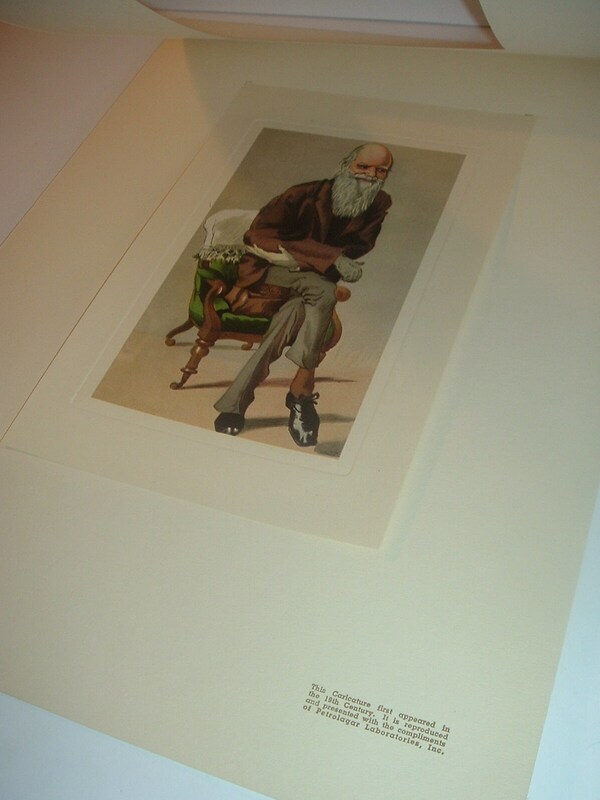 The print has a .75" to 1" plain edge. This is unframed. Take a look at the last photo. You can see that the print is inserted in the mat, and connected to it at the top of the print. The mat is in good shape with a little aging and edge darkening. The print is excellent. I gladly combine shipping.